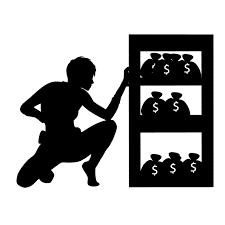 Employee theft is a crime that takes place more often than you would think. You may be thinking, ‘but I have such a small business, nothing like that could possibly happen to me!’ Well, sadly, that is not the case. Research shows that no matter what the company’s size is and regardless of the industry, employee theft takes place in some form or the other. Statistics show that, on average, $50 billion are stolen annually from businesses in the US by their own employees. Here is why you should hire a private investigator if you suspect that you are a victim of employee theft. Why Do Companies Hire A Private Detective? Having worked hard for long trying to establish your dream business from the ground up after giving up so much of precious time and resources, you would want security so that no one is able to disrupt the rewards of your hard work. Thus, it can be very frustrating to learn that an employee is stealing out of your hard earned money. Most business owners would not think that hiring an experience private detective is essential for the safety of their company. However, there are many advantages of hiring a private investigator from Oklahoma City in comparison to internal departments and employees. Local police officials may be able to aid you in the scenario if a theft by an employee takes place. However, if you hire a private investigator from OKC beforehand, you may be able to catch unforeseen problems and may even be able to prevent employee theft from taking place. PI’s can actually perform computer forensics and use surveillance footage in order to smell anything fishy that may be going on. Companies can actually save time and money by hiring a private detective rather than requesting police assistance. Investigators can perform undercover operations, plan out interviews and use specialized surveillance techniques that can all be used as objective evidence of wrongdoing and it will be admissible in court. If an employee is refusing to take off, that’s a red flag. Thieves would not take any holidays so as to avoid their illegal activities being unearth in their absence. If an employee is refusing to work with any other member of the team, then they may be up to no good. You may think an employee just wants to work alone and may be an introvert, but they may be preventing themselves from being caught. Also make sure to note if an employee is always the first one to get to work and the last one to leave, as even though that sounds like an ideal employee, it may be a sign of employee theft. If items are missing from the office without any explanation, then of course, you should be concerned. If you notice that checks, petty cash, office supplies or merchandise has seemingly vanished into the air, then you should enlist the help of a private detective. Remember, it will not hurt to get a second opinion. In this case, hiring a private investigator can be extremely beneficial for you and your company to prevent any further harm.